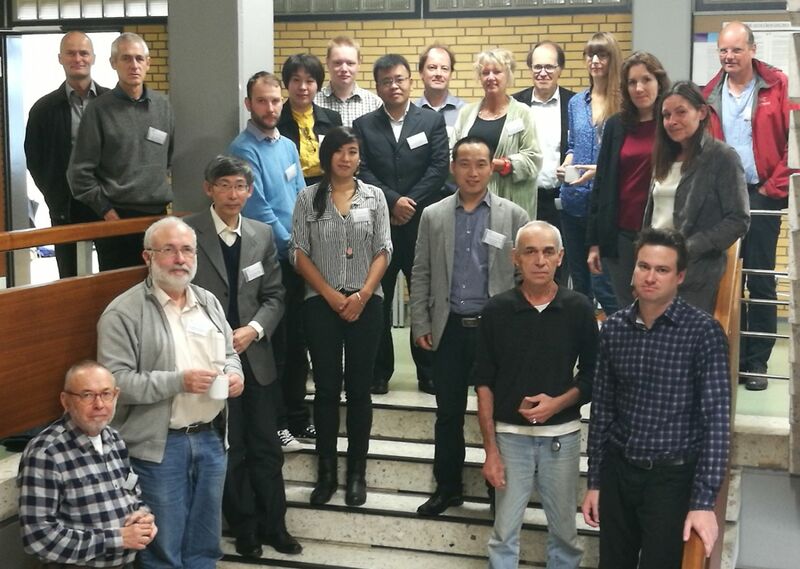 From the 28th–29th September 2017, the International Workshop “The Rise and Fall: Environmental Factors in the Socio-Cultural Changes of the Ancient Silk Road Area” was held at Kiel University (Olshausenstr. 75). The workshop was jointly supported by the Graduate School “Human Development in Landscapes” and the Past Global Changes project (PAGES), and was co-convened by four members of the Graduate School: Dr. Liang Yang, Prof. Josef Wiesehöfer, Prof. Hans-Rudolf Bork, and Milinda Hoo. The workshop received 35 submissions by authors from 16 countries, including distant countries such as Kazakhstan, China, India and Australia. During the two days, 19 researchers presented their recent studies in 6 sessions that were organized roughly from ancient to present times according to their studied periods. Dr. Liang Yang chaired the short opening in which Prof. Johannes Müller and Prof. Josef Wiesehöfer gave welcome talks. Prof. Wiesehöfer and Milinda Hoo chaired 4 sessions in the workshop. The 19 presenters discussed topics on the expansion of Ancient China to the west, Central Asia as the key node area of the Silk Road, the historical water and agriculture systems, climate and environment disasters in the past, climate links to social evolution, and the changes of lake and sea regions from ancient to recent periods. These topics were approached from various disciplinary angles and perspectives, ranging from proxy-based environment investigations to literary and historical analyses, from climate simulation with General Circulation Models to rock carving culture, and from changes of agriculture civilizations related to natural disasters to climatic factors on social unrest and imperial decline. Contributions focused on the middle to late Holocene and covered specific areas along the ancient Silk Road regions, extending from Eastern and Southeastern Europe to Western Asia, Central Asia, and Western China. During the coffee breaks and the conference dinner, participants further discussed their research progress and common interests. Among many of the discussions, Prof. Xiuqi Fang from Beijing Normal University introduced his new project aiming to investigate and integrate information of vegetation and land cover in Eurasia during the last 6000 years. He is planning to visit Germany again next summer. The workshop also held a lunch seminar on the second day, which discussed the joint publication and potential research cooperation. Dr. Yang introduced the preparation of the proceeding book with a proposed title “Socio-Environmental Dynamics along the Historic Silk Road”, which is to be published by Springer. 18 full papers from the participants have been received for peer review. To share the information and to provide an opportunity to those interested in the topic, but unable to attend the workshop, it was suggested that additional papers should be invited from targeted research groups and experts in the related fields. In addition, participants expressed great interest in organizing a follow-up meeting in Central Asia. Moreover, some ideas were proposed that aim to develop closer research cooperation in the near future, for instance, millennium scale responses of nomadic communities to water environment changes at the front regions of the Tianshan Mountain. The workshop ended at 2 p.m. on 29 September. International participants had some time to visit the Graduate School and its researchers, and to explore the city thanks to the good weather in the afternoon.